Qlik is one of Industrifonden’s most profitable investments, and it has also gone down in history as one of the most profitable venture investments ever to take place in the Nordics. But getting to that point was no easy feat. Qlik delivers intuitive software for data visualization, guided and embedded analytics, and reporting. Today customers all over the world use these business intelligence tools to explore information and make better decisions. Qlik was founded back in 1993 in Lund, Sweden. The first years were dedicated to developing QlikView, a data visualization tool that retrieves data from various systems and presents them in an easy-to-overview, user-friendly manner. Considering the processing power of computers back then, QlikView was ahead of its time. In the beginning, the company was making continuous losses, and Industrifonden helped keep the company afloat. The time around Y2K was tough on the IT industry, and Qlik was no exception. The IT sector crashed in a spectacular way all over the world, and the PCs of the time were just not powerful enough for QlikView. But Qlik endured and came out even stronger on the other side. A big breakthrough came in 2003 when Intel launched the new 64-bit Pentium processor. Finally a computer was powerful enough to run QlikView. This was an important milestone, because then more people could fully understand the potential of this revolutionary product. The next big milestone came in 2004, when the board decided to expand internationally, and it was time to look for international investors. Some owners thought this was a good idea; others wanted to sell. Industrifonden believed in the company and chose to stay on as an active investor. At this time, the headquarters moved to the United States, but development stayed in Lund. The new co-investors alongside Industrifonden – Accel and JVP – had extensive experience in the software industry, and a period of strong expansion was set into motion. Revenue increased tremendously over the course of several years: from $44 million in 2006 to $227 million in 2010. Industrifonden remained active backers of the company, both by dedicated board representation as well as follow-on investments, throughout this time of strong growth. 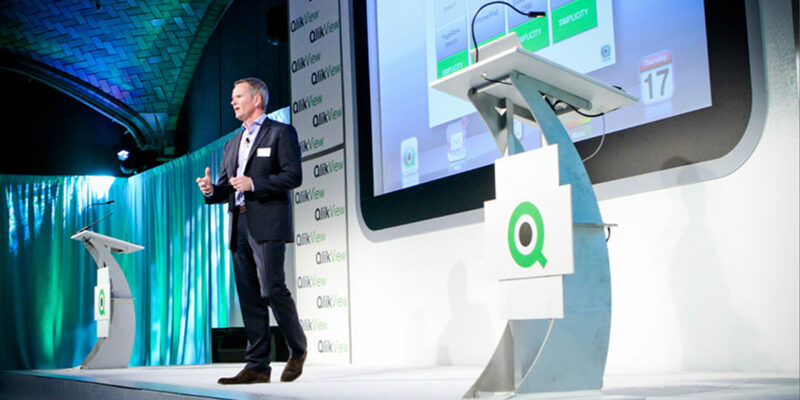 In July 2010, Qlik had a highly successful listing on the NASDAQ stock exchange in New York after years of preparation by the board and management. Then, in December 2010, Industrifonden sold part of its holdings in Qlik, and the remaining holdings were sold in 2011. Industrifonden received a total of close to SEK 1 billion, from initial investments of SEK 23 million – a return of 40 times the original investment. It is one of Industrifonden’s best investments yet and also one of Sweden’s most profitable venture investments. “We’re proud to have played an active part in developing Qlik into the successful global company it is today,” concludes Johan Englund, investment manager and co-head of the Tech team.